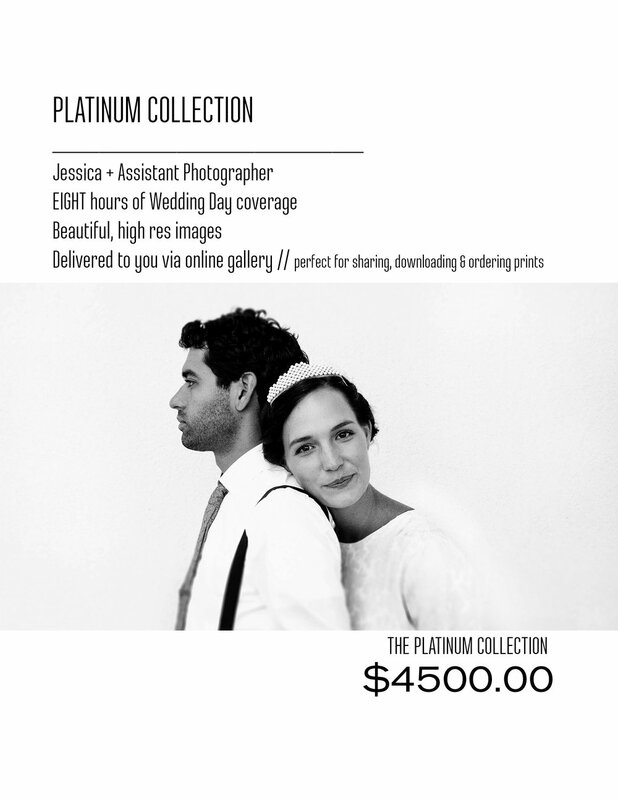 From elopements or intimate ceremonies all the way up to 300 guest, multi-day events, my collections are a guide for you to figure out how much wedding coverage you will want. The top 3 listed bellow are my most commonly booked but customized packages are available, just send me an email and we will get to work to make sure your needs are met and your dreams come true. A few words of praise from clients, or as my Dad called it, an “Atta Girl” for a job well done. Read more of what people are saying about not just their photographs, but their overall client experience. We could not have asked for more in every way! Jessica and her team were incredible throughout the planning process, the day of our wedding and support after. We are so in love with all of our photos and are beyond happy that she truly understood our vision. The day of, she was the best at wrangling, directing, supporting us as the bride and groom, the wedding party and even vendors. Overall, we are so thrilled with the photos but ultimately, the lasting impressing was her cool attitude and calm personable demeanor. We literally still gush about how she was our favorite person we worked with on our wedding! Delivers on beautiful photos & a great experience. Jessica is bubbly, fun, energetic and professional. She is exactly what we were hoping to find in our photographer! She captured moments of a day that I have difficulty remembering each detail because it flew by. I am extremely camera-shy and she helped me loosen up& get out of my own head. ( which is no easy feat ) I highly recommend her for engagements, and weddings. Hopefully one day, we can say the same about maternity & baby photos too! Jessica Maher Photography is top notch! She is super energetic, personable, fun, and most of all makes our clients feel at ease! We LOVE this company!! She has great communication (both in emails/calls/text and in person! ), is flexible when things don't go exactly the way we have mapped out and is always a team player! We love working with her and know our clients are going to love their photos! Jessica is the best! She photographed my wedding and engagement photos and was so much fun to work with- her sense of humor and welcoming spirit immediately make you feel comfortable. Her photos are truly remarkable and she captured more than we could have hoped for on our special day! I absolutely loved the wedding album she put together for us- Wow, wow, wow! Jessica is definitely putting her talents to use as a photographer! Jessica is an artist and true talent! She is incredibly well versed in a variety of different types of photography and will work with you to pinpoint just what you are looking for. She is so easy to work with and helps to make you feel at ease, and when you dislike having your picture taken it's an invaluable skill. She always goes the extra mile and delivers more than one could expect. Jessica can see outside the box and will give you a truly amazing experience you will never forget. Jess is the best. I absolutely loved having her as our wedding photographer and could not be more thrilled with how our photos turned out. Jessica took such lovely pictures for our wedding. She was also very sweet and attentive to our crazy wedding schedule. I do recommend her as a wedding photographer. Truly amazing!! Jessica does an amazing job - she is very professional and knows what she is doing. The photos came out beautiful and captured a perfect day we will never forget. An absolute pleasure, Jessica made our wedding day easy. We had all the mandatory pictures we absolutely wanted to capture and Jessica made it easy to capture them all and made sure we got everything we wanted. Jessica’s personality is loose and funny and an absolute pleasure to work with. Not to mention the pictures she takes are amazing. Have a conversation with Jessica. She is very professional and very creative, her input improved our photos and exceeded expectations. Set up a tentative plan and be ready for some fun adventures. She has a wonderful eye and personality. Jessica has both vision and an artistic creativity that set her above the rest. I have done several types of shoots with her and each time the outcome is greater than I expected. I am in constant awe of what a true gem I’ve found! Amanda Silvia, Owner Amanda Lauren Co.
Jessica not only captures the intimate moments between the bride and groom and their loved ones on their special day, but also every detail that make up a wedding day, such as table scape, décor, florals, etc.. She finds beauty in the details living and non living. Creating memories through film and capturing the wedding day as a whole. I know when my clients hire Jessica, they will receive a product that tells the complete story of their day from beginning to end. It’s all in the details with Jessica, not only does she take care of the client, she also takes care of the vendors involved in creating the client’s big day by producing images of the design details and vendor contributions that bring a wedding to life. From the dessert and food, to the florals and décor; she captures it all. Jessica truly knows how to capture the most special moments in life! She works hard to create a perfect, comfortable atmosphere to get beautiful and timeless photos you will cherish forever. I started with a Bodoir shoot and have been an addicted client ever since! She has also done our Wedding, Maternity, and Newborn photos. We are lucky to have found such a talented Photographer! Working with Jessica as a Hair & Makeup Stylist is always a pleasure! She is a creative, talented, & dedicated Photographer that truly loves her craft! I always know that there is something exciting when walking into a shoot with Jessica. Her shoots are truly inspiring and tailored to fit each client. She is always professional and courteous and conveys her visions beautifully. I love working with her! Jessica is amazing! We absolutely loved her. She shot our wedding in May. When choosing a photographer, it was really important that we found someone with a good personality since they would be with us pretty much the entire day. We loved Jessica once we met her. She had amazing ideas, was super professional, and was so on top of it the day of the wedding. I would highly recommend her! Your pictures will be beautiful! Jessica made the whole process completely easy and stress-free. She photographed both our engagement photos and wedding, and we are 100% happy with the quality of our photos. She provided guidance and direction for locations and posing, but also asked for our requests and input. For both photo shoots we had a digital album of all our photos in less than one week. Thank you Jessica! I am OBSESSED with Jessica. I feel like I want to be her friend forever!!! She vibe with me and my husband so well and did everything we asked. She took control and got everyone together to get all the formal photos! She also did my boudoir shoot and made me feel SO comfortable and beautiful. My husband LOVED it. She is seriously the best and even though I am far away now (we moved) I feel like I will still use her for future photography needs! Jessica is the only photographer I consider and recommend to my friends. She photographed our engagement pictures, wedding, baby bump and will be the family photographer moving forward. As someone that is not great at getting her photo taken, I immediately feel comfortable and relaxed around Jessica. Her eye for color and using your natural surroundings to enhance the pictures is incredible and creative. 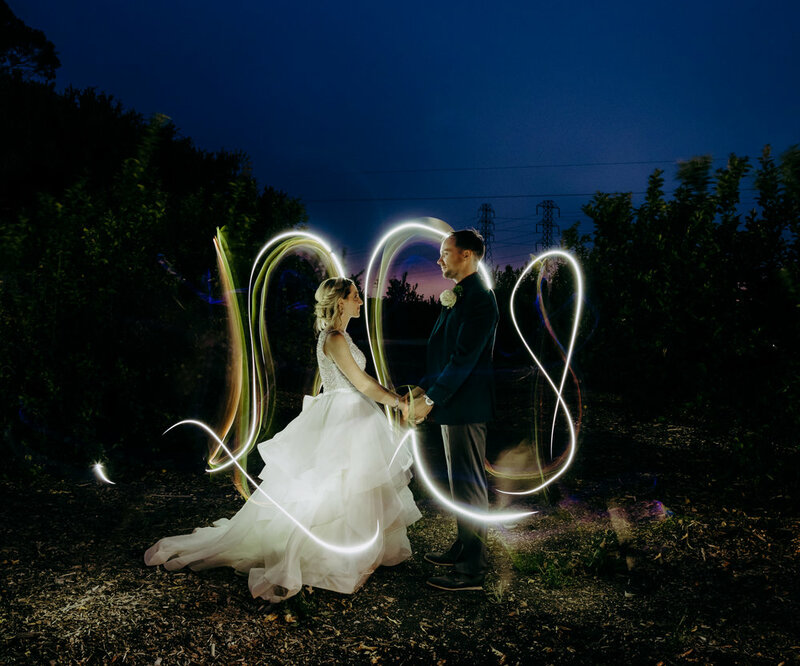 She is not your average wedding photographer that is for sure. Jessica is the absolute best. When initially looking for a photographer to take photographs of my models for my business. I contacted the only photographer I knew of and she was busy with a wedding, but highly recommended Jessica Maher. Jessica immediately returned my phone call and was so knowledgeable and helpful in finding a good location, gave advice on props/looks/colors, everything I would not have thought of. The day of my photos she made my models feel completely at ease and the photos came out fantastic. Just what I needed to upgrade the look of my business and website. However, my work with Jessica didn't stop there, with her recommendation that I should one day enlarge these photos and put them on my walls, the time came for me to move to a new location and I took her advice. She added one to acrylic and two others to metal and they came out absolutely stunning! Jessica is so knowledgeable of what will look good and what will not and is completely honest in her opinions and guidance. Her knowledge of camera angles, lighting, positioning, timing, etc made the photography sessions I've had with her flawless! All we had to do was show up and she took it from there. I am so happy I met Jessica and have, and will continue to refer her to everyone I know looking for impeccable photography. I wish there was a ten star review, because she is worthy of many more stars!!!!! Jessica was our choice for our engagement shoot and for our wedding and we are extremely happy with the images. She is extremely professional and has an ease about her that made us all feel comfortable. She's flexible with any plan and went above and beyond. 5 stars from us! Jessica is amazing! She was recommended to us for our wedding in June of 2015 through a mutual friend. I couldn't be more thankful. Her energy made me so calm the day of the wedding. She captured fun moments throughout the night of friends and family as well as beautiful portrait shots that we now having hanging in our home. She has since become our go to family photographer with the birth of our first child. Jessica is quick to respond to phone calls/ emails, but also very timely with getting photos back to you. The quantity and quality of the shots we get back after a session is never disappointing, it makes it hard to choose which to print. Thanks to Jessica, precious moments in our lives have been beautifully captured for us to treasure. Jessica took our first family of four pictures. She was amazing! She came to Ventura and scouted the area we wanted. She was great with our three year old and four month old. We couldn't be happier with how the pictures came out and we'll definitely be using her again. Jessica is the best! I met her through the Santa Barbara bridal expo 2017. I was looking for a really amazing photographer for my engagement pictures and I could not be luckier. Jessica is really professional and suuuuuuper talented! She made me and my fiancé to feel comfortable and the experience ended up being so fun! Jessica pays attention on details, from the perfect venue, styling and an amazing result! Thank you Jessica! I’m a Mom to that little chunk of sunshine in the photo above. Her name is Lennan. My entry into motherhood has changed the way I observe the world and gave my work as an artist, more meaning and purpose than ever before. For me its beyond just making something beautiful, its creating something that someone's child will cherish and maybe generations to come will hopefully want to re-create. I love using color, architecture, nature, all different types of light and sometimes whatever is nearby to create art with you, for you.